Photo at right taken August, 2000. Son No. 1...(written in 2003) Derek graduated from the University of Alaska Fairbanks (UAF) in 1996 and is currently working as an engineer for the Alaska Department of Transportation in Fairbanks. He has worked in mining engineering, surveying, hydrology, and various environmental sciences, and claims he is still wondering what he wants to be when he grows up. He is also a highly skilled taxidermist and the main contributor to the many mounts in the family's museum (see the Museum page, linked from the Photo page.) 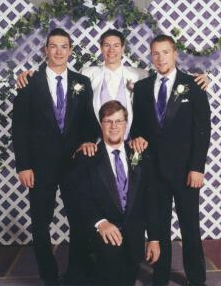 Derek married the girl of his dreams, Elizabeth Tallman, on January 1, 2004. 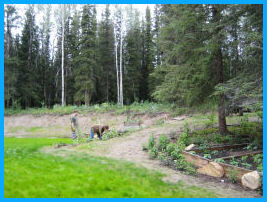 When not busily building on their new home in Fairbanks, they can be off most anywhere in Alaska conducting field work, or enjoying their favorite outdoor activities such as snowmachining or kayaking. Beth has a civil engineering degree from the University of Alaska Anchorage (UAA) and practices the management and environmental side of engineering in her position with URS Corp. Beth's many talents include cooking, carpentry, and car mechanic, so she has no trouble keeping busy between those field trips. Derek is now a registered professional engineer (#11547) in the State of Alaska! 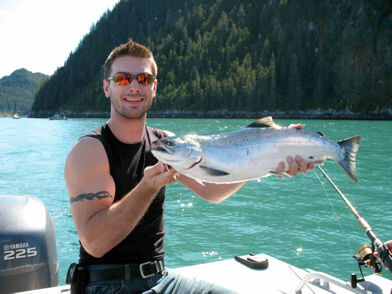 He is currently employed by Arcadis-us in their Alaska office as field environmental engineer. One of the more interesting aspects of this job is the varied work and extensive travel opportunities. Currently, the project taking up the majority of his time involves environmental compliance oversight for the oil exploration work being done in the National Petroleum Reserve-Alaska (NPR-A). 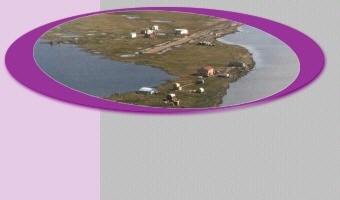 As with all North Slope work, this means working a "2-week on / 2-week off" schedule. 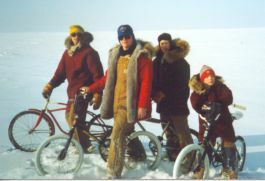 Although being away from home in Fairbanks for two weeks at a time is difficult, it is countered by two weeks at home. This is one of the main advantages slope workers have with this type of schedule. Beth is employed by Watterson Construction, and currently working as a construction manager on several 100 million dollar projects for the military. 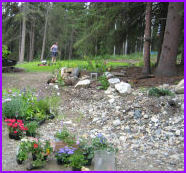 This happy couple continue to build and develop on their property outside of Fairbanks, including beautiful landscaping with creative flower covered rockeries, new trees, and a vegetable garden. Their orchard isn't doing as well as hoped since the local moose think the trees were planted just for them to browse on, so a tall fence may be a future project. Derek's love of birds is manifested with an indoor aviary boasting numerous bird species including his special bred zebra finches. Beginning the landscaping. Adding flowers. 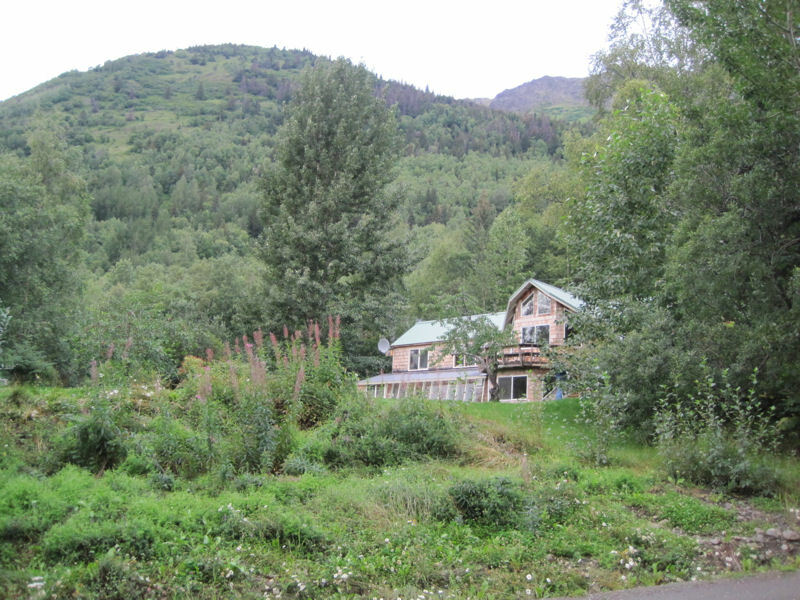 2008 UPDATE: Derek and Beth maintain their lovely home on the outskirts of Fairbanks, while continuing with their various engineering jobs. Derek has worked mostly on environmental compliance oversight for several different oil exploration projects, and Beth continues her job with Watterson Construction. A new venture for them has been purchase of some new land in Washington State for developing as a winter get-away. Derek and the whole family suffered a heartbreaking loss several years ago when Beth decided to divorce Derek and go her own way. Derek has since sold his Fairbanks land and moved to Anchorage. 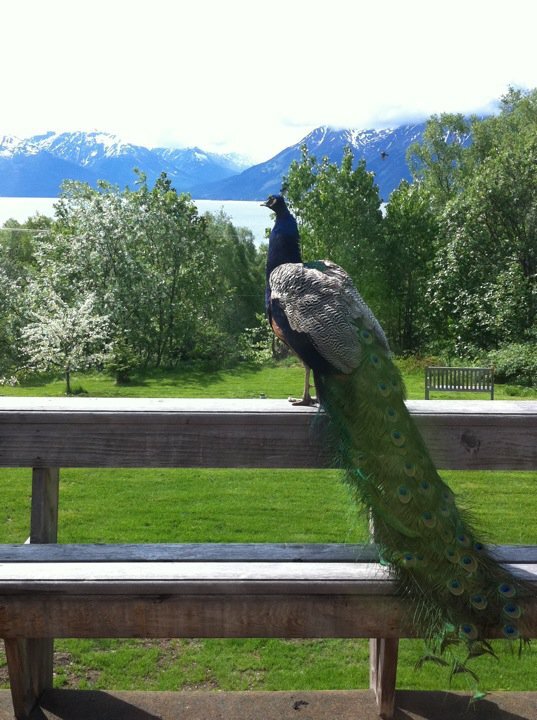 He now has a lovely home on a hill above Turnagain Arm at a place called Indian. He took a beautiful house and location and has steadily been making many new improvements. There is a beautiful view of the bay and mountains across the way. Gorgeous sunsets are frequent views from the large kitchen and livingroom windows. Derek has worked full-time for Pioneer Natural Resources on the North Slope as their Environmental Specialist for several years now. It is great to have both Derek and Aaron working in the oil field for the company that is our closest neighbor in the Colville River Delta, plus have them stationed at work-sites near the family "homestead". [Pioneer is also the company that launched Teena's "oil field work" career when she started her Logistics job in 2006.] Pioneer is fortunate to have such terrific employees who know the operating area like the back of their hands. Besides moving to Anchorage and many other changes in Derek's life in recent years, Derek met and recently become engaged to Cynthia Milligan and together they are carving out a new life together. 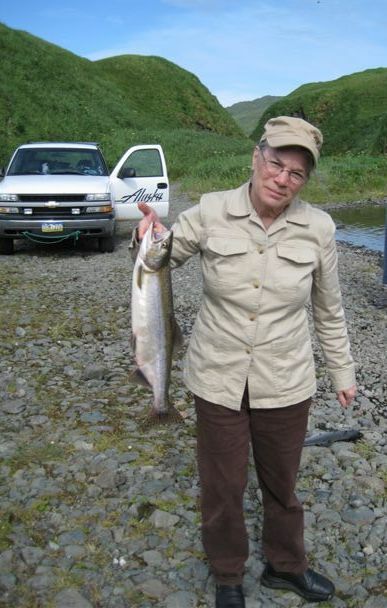 Cindy works for HDR Alaska, Inc. as a water Quality Specialist, and has lived in Anchorage for a number of years. Cindy grew up in Wyoming and studied Rangeland Ecology and Watershed Management at University of Wyoming. Both Derek and Cindy and Aaron and Autumn were able to spend Christmas on the Colville homestead this past Christmas 2011. 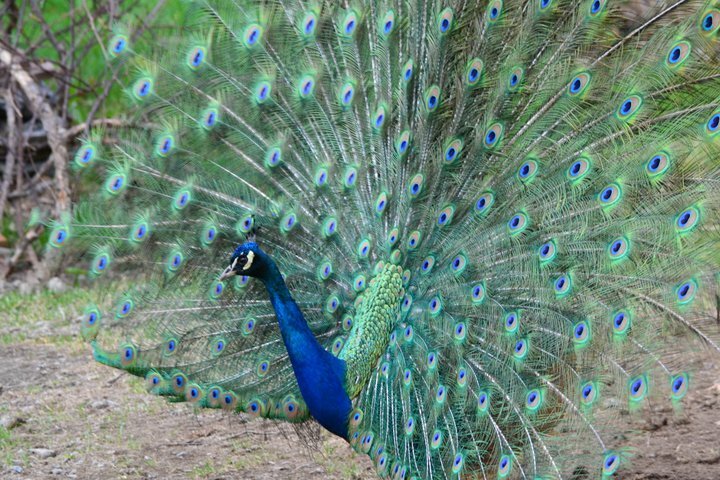 Wild (feral) peacocks are often visitors to Derek's deck and yard. If you know Derek, you know that birds are always a big part of his life. Derek and Cindy enjoy the many wild birds around their home both winter and summer, plus enjoy fresh eggs from their chickens. Son No. 2...(written in 2004) Jay is a full-time employee and special projects engineer for the Geophysical Institute at the University of Alaska in Fairbanks, where he also earned his Master's degree in engineering. He loves mechanical things... and is our rocket scientist (literally), having designed and built rocket payload systems for real rockets for UAF and even NASA. Jay married Amy Jane Wilcoxson in August, 2000, and they live in Fairbanks. Amy completed her degree in photo journalism at UAF spring 2002. This active couple is enjoying their second year in their new house purchased in 2002, and are busy parents with Natasha Joy, now a year and a half old, and Melody Hope, three months old. 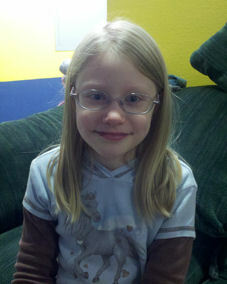 Natasha Joy arrived January 11, 2003 at 5:17 P.M. into her Daddy's ready hands, weighing 7 lb. 14 oz. Jay, Amy and baby were home the evening of her birth. She continues to bring joy to all who have been blessed to see or hold her. What a wonderful gift from God! If you would like to view more pictures of Natasha click HERE. 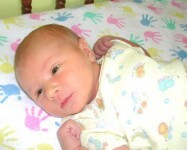 News Alert: (July 2004) Melody Hope arrived June 28, 2004. She weighed 8 lb. 4 oz. 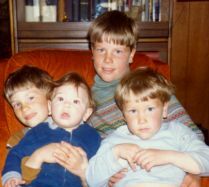 and looked much like a chubbier version of her sister Natasha at the same age. 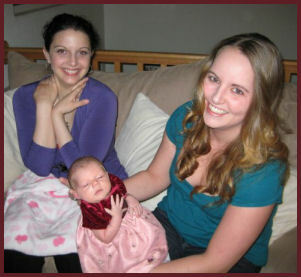 Jay, Amy and baby were back home from the Fairbanks Birth Center the afternoon of her birth. Another wonderful gift from God! If you would like to view more pictures of Natasha, and new baby Melody, go to the link that takes you to Jay's family albums by clicking HERE. 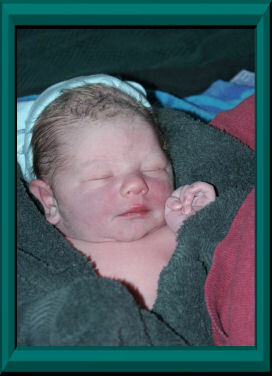 Elisha Peace was born on May 7, 2006. He weighed 8 lbs. 14 oz. and was 21.5 inches long. Big sisters Natasha and Melody were amazed with his little tongue, nose, fingers, eyes....and all the rest, so very perfect. Thank you, Lord! 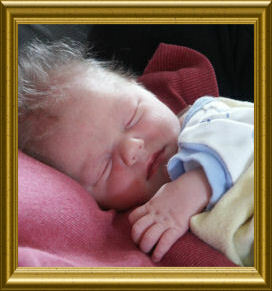 Mom and Dad (Amy and Jay) have posted more pictures on their own website. To go view them, click HERE. 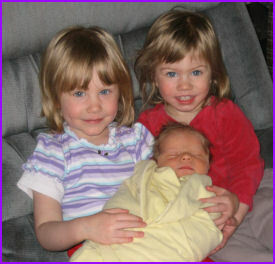 May 16, 2006: The cutest Trio you ever saw! 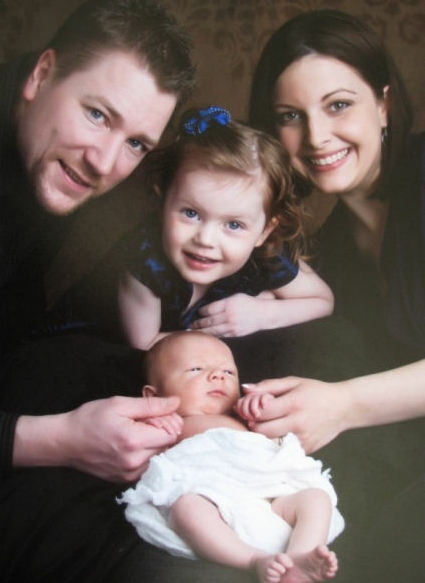 Living in Fairbanks, Jay, Amy and children, Natasha (4), Melody (2 1/2), and Elisha (8 months) stay as busy as ever. Jay finished a new fenced yard last year that opened up a whole new play area for the children. Never a dull moment in this household! Big excitement for Jay this year was the acquisition of a snowmachine so he could occasionally get out and "play" with his brothers on sled-riding escapades. The family is growing-up rapidly as all do. Jay and Amy's "Cute Trio" are quite the 3 musketeers. 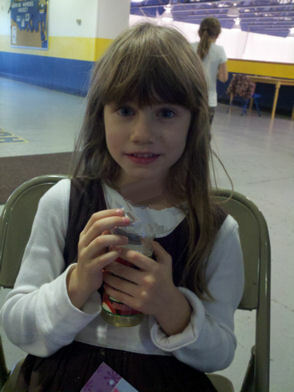 Natasha (5) started home-schooling this fall and Melody (4) is close behind. Elisha (2) is sure to keep the pot boiling as most 2 year olds do. Work and home life stay busy as ever for Jay and Amy. Jay moved up into a managerial position in the Geophysical Institute at the University and Amy keeps exceedingly busy with home, kids, homeschooling, and her writing projects. They were able to enjoy some travel together this year with a trip to Bermuda where Jay gave a presentation at a big electronics conference. Jay has also made his annual trip to Antarctica to service his equipment for a big NASA project down there. 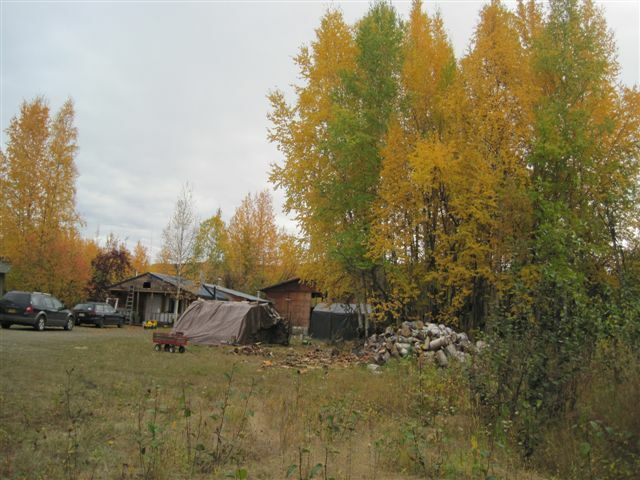 Jay and Amy sold their house in town and bought land a little ways north of Fairbanks near Fox on the Steese Highway. It is an old "homestead" with a number of buildings and lots of outdoor room for the children and farmyard animals. The house is a "fixer-upper", so Jay stays very busy with remodeling and building projects, besides his continuing job at the Geophysical Institute at the university. The family has acquired rabbits and chickens and are thinking about a goat. 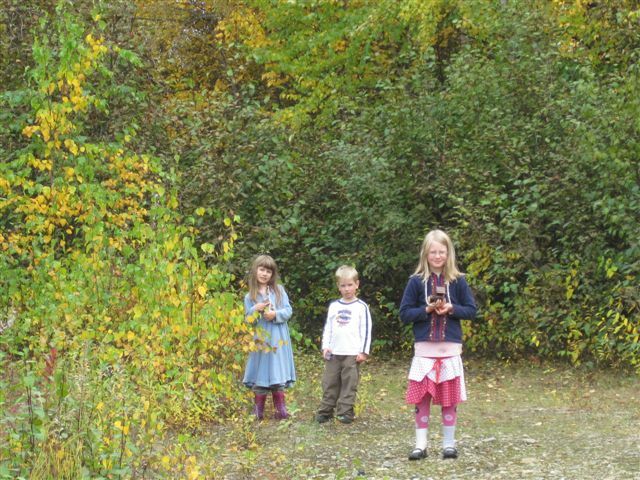 Natasha is 9, Melody 7, and Elisha 5. The children love their big yard in which to play, enjoy having many new pets and they continue to do well in homeschooling. around their place, and the beginning fall colors. The trees by Jay's firewood pile. Son No. 3...(written in 2004) Isaac is an employee of Alaska Airlines, working as Ramp Service Agent in Anchorage, Alaska, and also attending the University of Alaska Anchorage, where he is pursuing a Bachelor's degree with a double major in Aviation Administration and Professional Piloting. 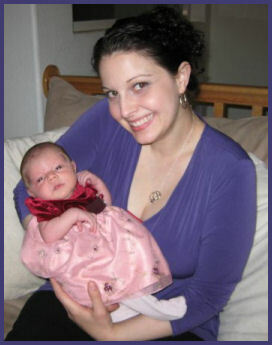 Isaac married Crystal Blish on February 21, 2004, adding another girl to the family. Since Isaac is an outdoor enthusiast who loves to hunt, hike, ride snowmobiles, go boating, or tackle any adventure that presents itself, Crystal married into a very active lifestyle. This couple have a townhouse in Anchorage, and rent rooms to brother Aaron and cousin Nick. 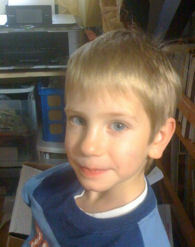 Isaac and Crystal continue to live in their Anchorage townhouse, which Isaac has been refurbishing as time allows. Isaac has his degree in Aviation Administration and Professional Piloting now, plus has moved up into a management position with Alaska Airlines. His new job is still based at the Anchorage airport but it entails a lot of traveling as he trains new employees at many other of Alaska Airlines' stations. Crystal is now working in a medical billing office as a billing clerk and is working toward getting her CPT coding license. Isaac is now the full-time Station Manager in Adak for Alaska Airlines. He and Crystal bought a house and moved there in October. This came after Isaac had worked for a year with a 2-weeks on and 2-weeks off schedule, thus spending half his time in Adak and half home in Anchorage. Being away from home half the time was hard, especially with a baby on the way. Crystal left her CPT coding job in an Anchorage medical office in September and joined Isaac in Adak, but she had to return to Anchorage late October to await the birth of their baby. Isaac joined her mid-November where they stayed at brother Aaron's house. Rhianna was born November 16. 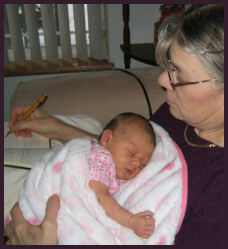 Rhianna Belle in Mom's arms. 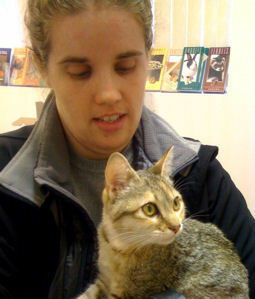 Isaac, Crystal, and new baby Rhianna will return home to Adak the first week of December. Rhianna's Grandma Teena hopes to accompany them for a visit at their new home, plus get a little more "Grandma" time in before returning home to the Colville mid-December. 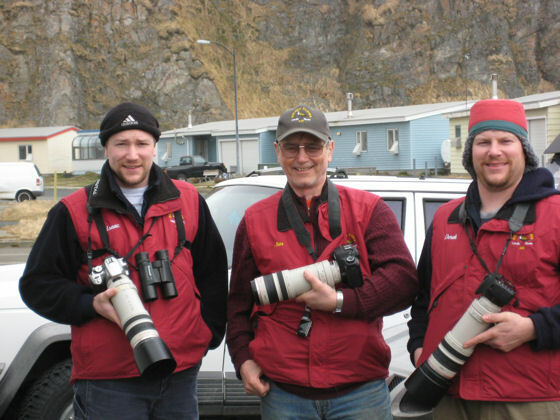 Isaac, Jim, and Derek at Adak ready to head out on a photography walk. 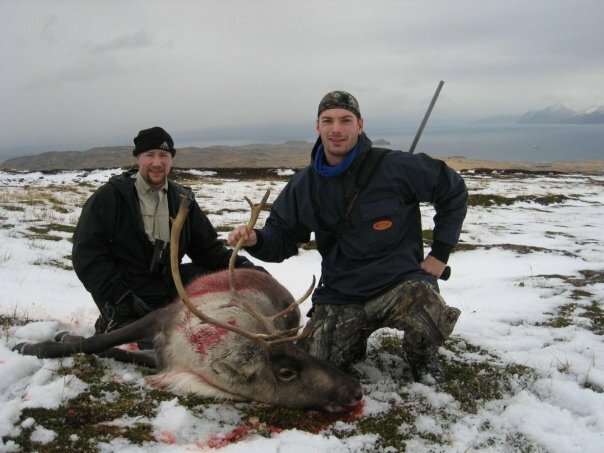 Isaac and Aaron on a caribou hunt on Adak. 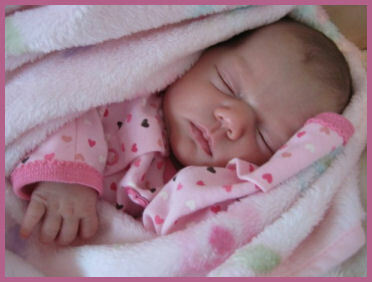 Little Rhianna turned 3 years old shortly before she welcomed a new little brother, Danian James, born early Thanksgiving morning November 24, 2011. He weighed 7 lb. 9 oz. and was 20 inches long. 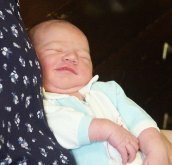 He was born in a birthing center in Anchorage and Isaac and Crystal were back home where they were staying in less then 6 hours after his birth (which included an hour drive up to Wasilla). Grammy (Teena) was there with others from Crystal's family, to greet the newest Helmericks. 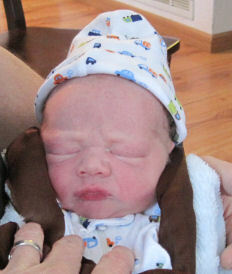 What a joy to hold such a precious, new gift from God, to bring in our Thanksgiving Day. Son No. 4...(2003) Aaron is a senior at the University of Alaska Fairbanks, majoring in computer science and working part-time as a Resident Assistant (RA) at one of the campus housing units. He graduates May 9, 2004. His recreational activities include captaining a intramural football team, and playing on volleyball and ultimate frisbee teams. Although the "baby" of the family, he is the tallest and most outgoing...always a positive ambassador for the whole family. He loves being Isaac's cohort in outdoor adventures, and together they have conquered many miles and escapades. 2004 UPDATE: Aaron graduated with honors from UAF on May 9, 2004, with a degree in computer science, spent the summer traveling in New Zealand and Figi, and is presently renting a room at Isaac and Crystal's house in Anchorage. He plans to soon be contributing his computer skills within Alaska's work-force full-time. 2007 UPDATE: Over the past few years Aaron has tucked many new experiences under his belt. He worked on the North Slope in warehousing and materials receiving for over a year, got his Commercial Drivers License and drove fuel trucks to deliver fuel across Alaska's northern Oil Field, got his private pilot's license, and flew single engine airplanes to and from Alaska and the "Lower 48" for his Uncle Jeff. 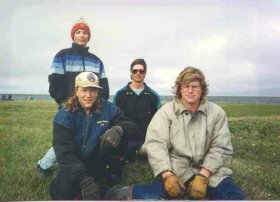 After three years of soaking up other job skills, Aaron got back into computer or "IT" work when he accepted a job with Pioneer Natural Resources as their North Slope Field "IT" Support Analyst. Like Derek, he now works a "2&2" shift on the Slope, with Anchorage being his home for R&R. He shares his apartment with his cousin, Nick Bennett, for now, but new things are on the horizon since Aaron has asked his college sweetheart to marry him. Newly engaged, Aaron and Autumn are busy making wedding plan, and big changes are ahead for this excited couple. As the pictures above show, Aaron and Autumn were married August 12, 2007. 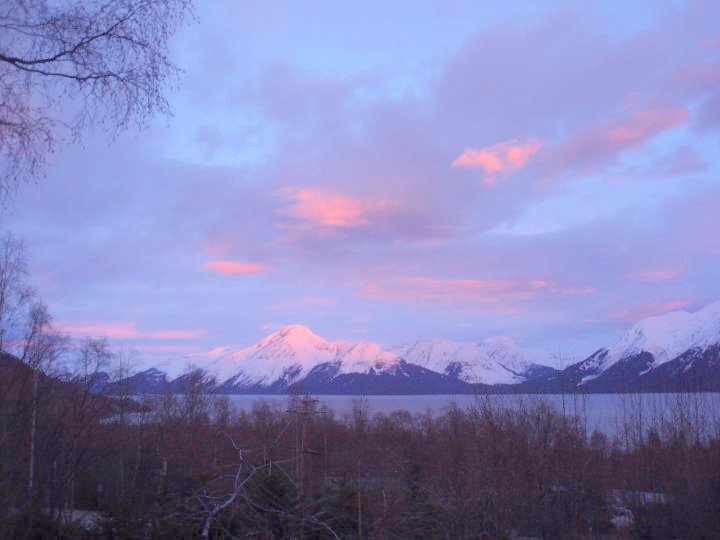 Aaron had purchased a house west of Wasilla earlier in the summer and the newlyweds were soon settled in. Much of our family's annual updates are recorded in the family newsletter, however, to recap here: Due to both Autumn and Aaron’s work schedules, their honeymoon to Hawaii was postponed until December, 2007. Aaron started his own IT consulting company this year and his main contract is the continuing work as field technician for Pioneer Natural Resources on the Oooguruk Project, the same project Teena works on. 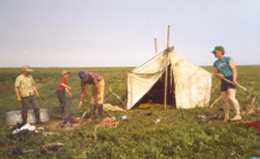 Most of his work time has been divided between Anchorage and the North Slope, however, Aaron did work for Pioneer in Tunisia in north Africa for 10 days in November. Autumn continues to work in Wasilla as a case manager for SED (Severely Emotionally Disturbed) children. She does home visits, works with both the kids and parents, and organizes any help needed. Autumn and Aaron took Crystal and Isaac into their home in mid-October when they needed a place to stay while they waited for the birth of their new baby. 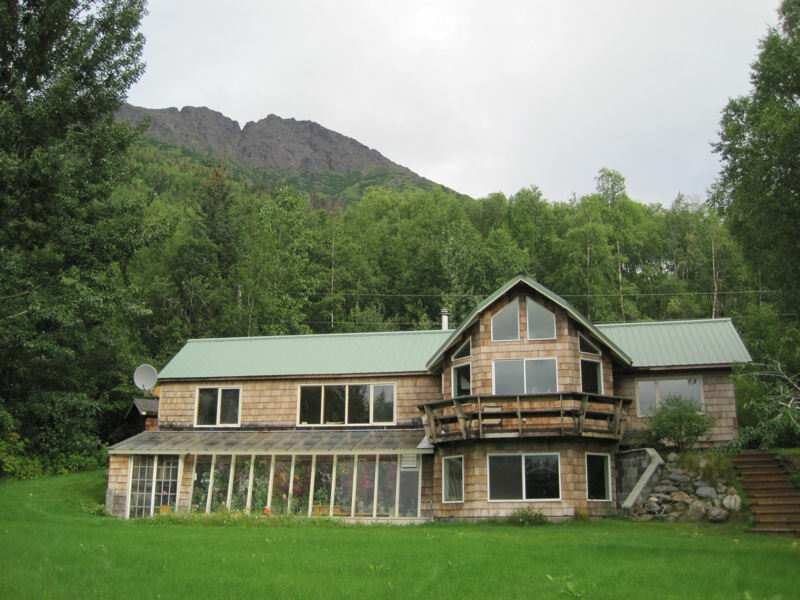 When Rhianna finally arrived, Isaac and Crystal were eager to get back home to Adak, but were very grateful for the comfort of the wonderful "home away from home" that Aaron and Autumn so graciously provided. Aaron and Autumn moved to a new house between Wasilla and Palmer the summer of 2011. They expect this house to be their permanent home for some time, with room to raise a family. The house is new and finished, but considerable landscaping is still to be done. 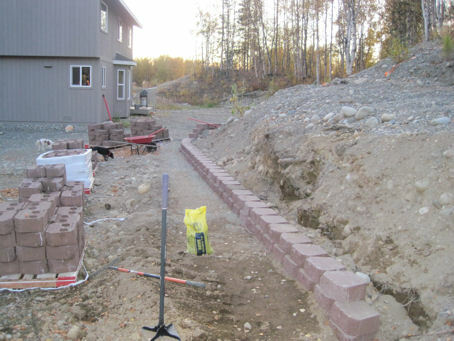 Aaron has already moved a lot of hill behind the house to enlarge the front yard, and is building a long retaining wall in the back, plus has visions of a large deck off the back of the house someday. Various projects and plans are in the works, but most can only be accomplished during summer months. Both Aaron and Autumn remain in their same jobs, Aaron is now working directly for Pioneer Natural Resources, instead of by sub-contract, and he has an office in Anchorage, while still working part of the time on the North Slope. He frequently makes trips to Texas or other places for Pioneer for special jobs or training. Autumn still works in Wasilla as a case manager for SED (Severely Emotionally Disturbed) children. Aaron enjoys hunting and fishing trips with family and friends, such as hunting caribou with his brothers in Adak, or fishing down in southeastren Alaska. Autumn loves her visits with her family in Hoonah, where she grew up, and she also gets to the Colville "homestead" ocscassionally.